Call us at 727-656-6569 to find a great paddle to go with this board! 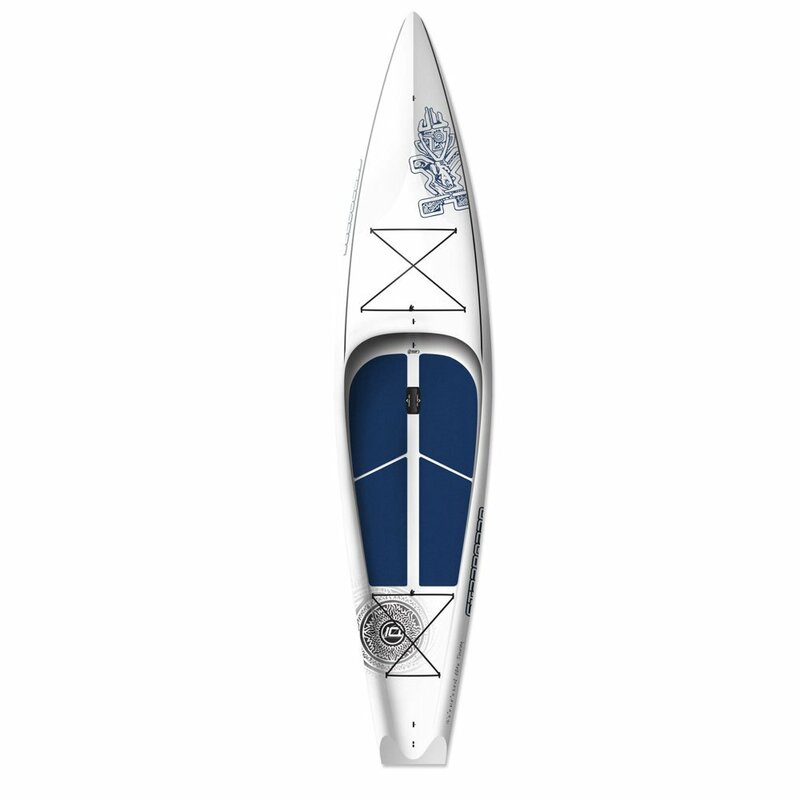 A fantastic board for fitness paddling, flat water touring, or recreational racing. Great glide, space on the deck to tie down your necessities. The 12'6" (which is 12'6" long x 30" wide) is great for bigger folks or if you need more stability for fishing or taking your dog. The 11'6" (which is 11'6" long x 29.5" wide) is better if you are a bit smaller. The starshot blue construction is durable, but still light weight and has great looking, classic graphics. With a sleek displacement haul in the nose and tapering in the tail, you will have amazing waterlines for easy, fast, and efficient gliding across the water. Don't wait to get your hands on this great all-around board at a great price!